These are glas panels that sit on top of a light box. 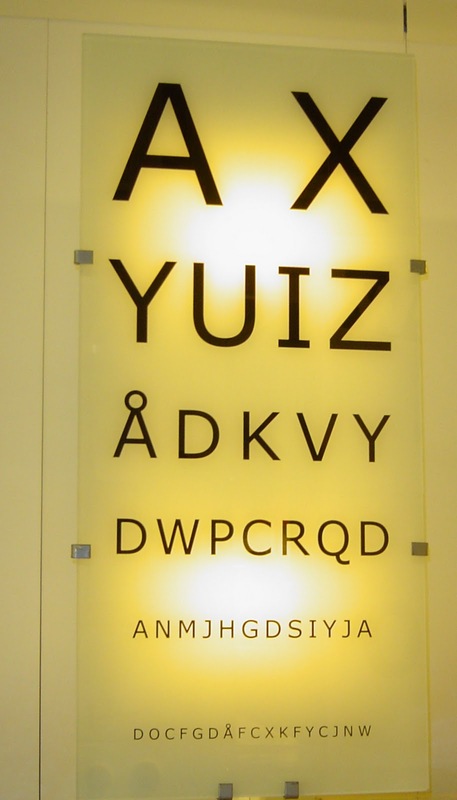 I love letters, so this “eye chart” kind of design really appealed to me. The glass panels are $20 each and come in range of designs. The light boxes cost another $30 or so. I like the idea of it all, but what you don’t see in the photo is the electrical cord with on/off switch that hangs right below. I’m famous for my disdain for cords. I don’t want to see them! So I’m loving the concept, but want it mounted on the wall like a sconce (hardwired). So much for $20, I know. But it’s an idea you could really run with! I’ve gotten a lot of nice feedback on the blog lately. Thank you!